notes on when and what he has been fed." Billy Andrews - Nina (puppers) of D.U. plans or my return is delayed. We highly recommend his service." neighbors talk about how their dogs love seeing Luke as well. with. I never have to worry about him during the day!" beloved dog Kaya, who is always happy & healthy upon our return. We recommend Gentle Hearts completely." great notes about Tycho's mood & activity level too!" recommend Gentle Hearts Pet Sitting to anyone I know." certainly should be at the top of your list." one I use for many years." gone above and beyond what we expect a dog walker to do!" how the girls were feeling for the day also." come home from a trip, my cats seem content and well cared for. and think I found the best pet sitter for life!" "Luke has taken care of Neo since Neo was a 10 week old puppy. 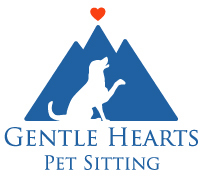 recommend Gentle Hearts Pet sitting." References can be provided upon request. peace knowing she is in superior hands and heart with Gentle Hearts. much happier during my absences." worry! They are well taken care of with Luke. unexpectedly at the last minute a few times when I have been sick. when we began training. Highly recommended!" Luke and Gentle Hearts ever since." good hands with Gentle Hearts." trust the team to come in and out of my home when I am gone!" much calmer when I come home and I know he loves Carol a ton! Gentle Hearts really does provide a great service!" information on numerous occasions, and will continue to do so!" Luke takes great care of him." so easy to contact and willing to work around a variety of schedules." even on late notice. They are lifesavers." responsible, just a great guy!" very comforting knowing Gentle Hearts is taking care of our family. We will never use anyone else." for when I am out of town. They do an outstanding job!" daily walks. Thanks Luke for a great job."